Chiropractic Health Care is the science that is concerned with the relationship between the structure and the function of the human body and is grounded in an appreciation and respect for the natural “inborn tendency” of the human body to try to maintain a state of good health. Chiropractic science is primarily concerned with the detection and correction of biomechanical and structural derangements that interfere with the inherent adaptive mechanisms of the body. What is Wellness? Dr. Street gives you a wellness approach, a vital link in 21st century health care. This is the approach to health care that recognizes and respects the inherent power of the body to heal itself, It is a conceptual shift away from disease treatment and toward health enhancement. Wellness care focuses on causes rather than treating effects. Dr. Street emphasizes methods that remove blockages or obstacles to your body's inner wisdom. Wellness care may also include assistance with lifestyle management, nutrition guidance, exercise training and rehabilitation appropriate to individual needs. Unlocking Your Potential. All technology and human research, including chiropractic, has its early, primitive stages. Just like all members of the health care sciences, results were measured by the reduction or elimination of pain, symptoms and diseases. During its infancy the profession was shaped by people who had tried traditional methods of healing without success, but then later found relief through chiropractic care. More recently, the scientific community, now armed with an increased understanding of the human body’s potential, has turned its attention away from just getting rid of disease, and even beyond the prevention of disease, and has begun asking questions concerned with releasing more of the body’s natural health potential. Chiropractic has provided answers to many of the questions posed by the scientific community. Scientific interaction with researchers and the World Health Organization (WHO), Sloan Kettering, the Rockefeller Institute, Harvard Medical School, and a variety of world class authors has created a broader understanding of the role of chiropractic as being instrumental in unlocking the fullest human potential in every individual-physically, mentally and socially. Finally, as the scientific and lay communities increase their understanding of chiropractic care, more children and families utilize its services in an attempt to build a healthier society. According to Gray’s Anatomy: “It is the purpose of the brain and nerve system to control and coordinate the function of all the tissues, organs, and systems of the body.” It is therefore imperative to have a nerve system free of interference or damage. Your care at the clinic focuses primarily on interferences to the nerve system that can be eliminated, resulting in improved function and better health. While there are many things that can interfere with your nerve system, such as direct trauma and drugs, science has discovered a major interference to your nerve system called vertebral subluxation. This interference causes malfunction, abnormal behavior, and even an early death. 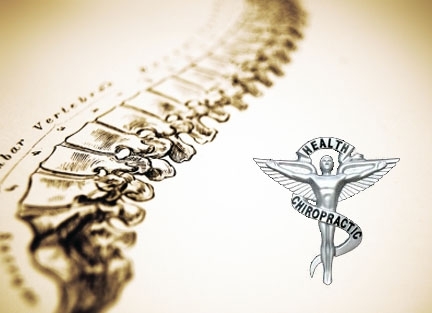 So while it is necessary to consult many professionals for health advice in order to attain optimum physical, mental, and social well-being, chiropractors are the only professional trained in the detection and correction of vertebral subluxation. Dr. Street welcomes requests for additional information. We are proud of our commitment to your health, our services, and our history of results. Our policy of a complimentary initial consultation is designed to allow you the opportunity to get acquainted with Dr. Street first hand, and to ask any questions that may concern you. Chiropractic health care was GREEN, long before anyone came up with the idea. Dr. Robert E. Street has practiced chiropractic care for over thirty years. He is a Palmer College of Chiropractic graduate and delivers natural health care from a wellness perspective. It is our mission to improve the health and the quality of life in individuals and families. At AZ Chirocare, we understand that each person has unique health needs and desires. We are committed to providing choices to help you reach your individual goals, and providing information so you can choose with confidence. Our goal is to provide the greatest relief and improved health in the shortest amount of time. If you are looking for better health, your chance of success increases with the right kind of help. Advice from different professional caregivers (chiropractors, medics, dentists, etc.) leads to a more informed decision. Of the three major doctor-level health professionals, chiropractors are the only ones who address whole body health without drugs or surgery. Dr. Street of AZ ChiroCare gives you a "wellness" approach, a vital link in 21st century health care. On your first visit to AZ ChiroCare, you'll be greeted by Dr. Street himself, who will assist you with your entrance Ipad patient history information. After your Ipad information is complete you will sit down with Dr. Street to discuss your health issues. Following your consultation with Dr. Street, you'll be ready to continue on to any spinal x-rays which you may need to help uncover information related to spinal balance, nerve function, posture, vertebral motion and position. If tests reveal spinal imbalance, restricted or improper motion, potential pressure on nerves, bone or disc abnormalities or degenerative changes, then you may be a candidate for corrective spinal adjustments. After Dr. Street has studied your examination findings, you will have an opportunity to discuss your findings. The results of your tests and your options will be thoroughly explained to you, and once again you will be able to ask any questions you might have. 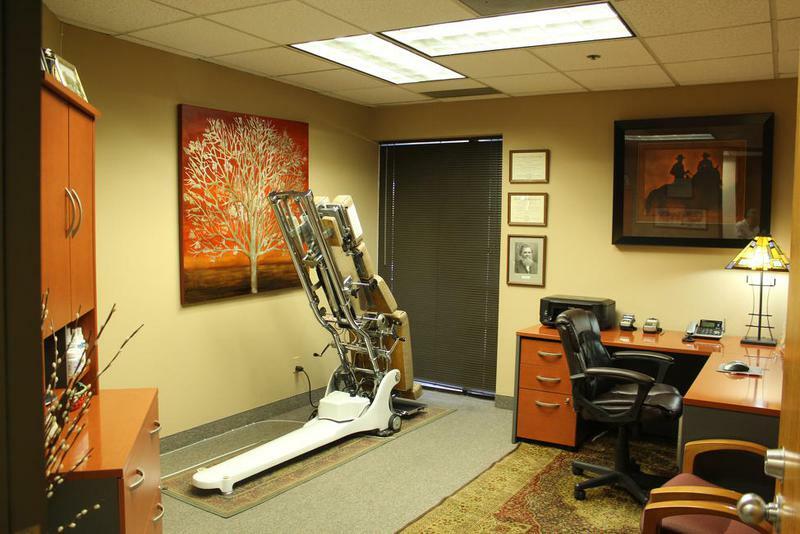 At AZ ChiroCare, spinal adjustments are precisely tailored to the needs of each patient. A variety of techniques are used in order to minimize discomfort and maximize efficiency with speedy results. In fact, most spinal adjustments feel so good, even children enjoy their visits! Length and frequency of care depend entirely on individual considerations. Dr. Street has training and experience in multiple chiropractic techniques including Palmer Diversified, Gonstead, Thompson, Toggle Recoil, Activator and Integrator adjusting instruments, the result of a lifetime commitment to continuing education and study. He is available to speak to groups and organizations on topics ranging from back safety to "Chiropractic and the Wellness Paradigm". We believe our success over the years is due to our ability to develop a partnership based on friendship and trust. We provide a quality personal service. We make constant efforts to demonstrate and teach improved health. We create a healing environment, where everyone has the opportunity to express wholeness; mind, body, and spirit at their very best.